You can obtain the MAC addresses of each wireless client from its configuration utility or operating system. You then enter these addresses into a configuration page of VigorAP 710. 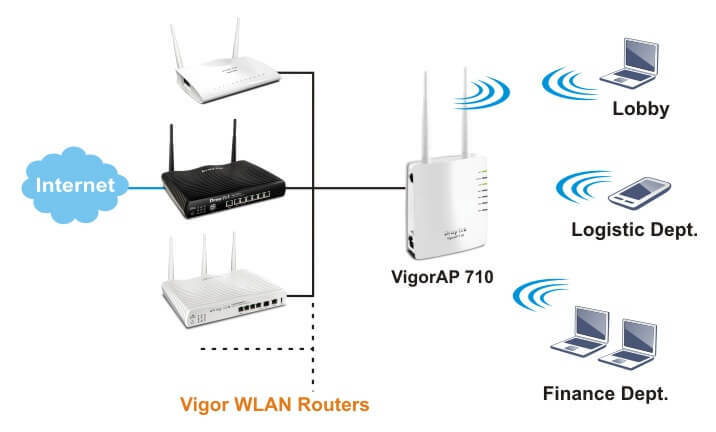 When MAC address filtering is activated, VigorAP 710 performs additional check for wireless clients to prevent network breaking. Clients within the authenticated list will be able to join with the WLAN. Those who are not on the list will be denied while VigorAP 710 receives their request to join the WLAN. The VigorAP 710 can extend over large areas (alike shopping mall) by its “WDS”(wireless distribution system). WDS takes care of the establishment of WLAN network with “point-to-point”and “point-to-multipoint”bridging and repeater modes. The repeater mode provides extend wireless access to additional clients where there is a relay AP repeats signal from a base AP to distant clients. The bridge-to-bridge mode allows two wired networks to be connected across some distance. The detachable antenna will let you replace with DrayTek antennas for directional signal shaping or mounting flexibility. Actual data throughput will vary according to the network conditions and environmental factors, including volume of network traffic, network overhead and building materials. Environment conditions may adversely affect wireless operation distance. Compatibility with IEEE 802.11n future version is not guaranteed. 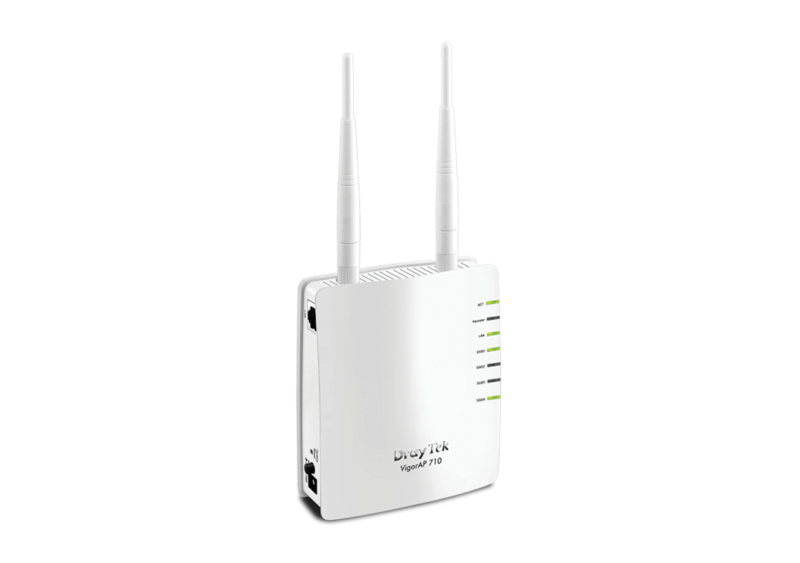 Compatibility with IEEE 802.11n draft devices from other manufacture is not guaranteed.